I should start this review by explaining that I’m not very good at platformers. I tend to skip the harder Mario Levels that require expert handling of Nintendo’s mascots many runs, spins and jumps and I never finished Rayman Origins, choosing to spare my joypads from being thrown across the room in frustration. I shamefully never made it past the first boss encounter in Super Meat Boy, life is too short for that kind of torture. Celeste, therefore, shouldn’t be a game I picked up and It seemingly wasn’t designed with my inherent desire to chip off a game for being too hard as I look for a new more casual gaming experience. 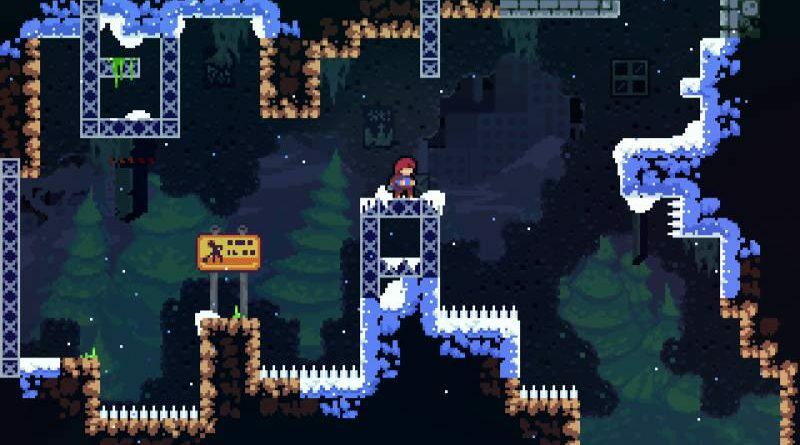 Yet despite initially appearing to be another one of those torture platformers, Celeste has been designed specifically to call me out on my defeatist attitude and dare me to do better. In this respects, Celeste is a massive triumph conveying complex themes via an expert fusion of gameplay, story and music. Taking control of Madeline the main protagonist the game sets her own a personal journey to climb a mountain and her journey becomes your own. The Mountain is more than it first appears and Madeline’s Journey is not an easy one. What initially struck me when starting up the game was how tight the controls felt. The developers clearly have a sense of confidence in three basic concepts, left / right movement, a small controllable jump and a mid-air dash. By taking these three mechanics Celeste builds on them in inventive and often emotionally charged ways. The game will present you with what initially looks to be an insurmountable challenge which via trial and error and mastering the jump dash mechanic can be beaten. Gameplay consists of Madeline setting the task of trying to traverse various screens, some fixed some scrolling while navigating crumbling platforms, springs, moving mechanical structures all whilst avoiding spikes and other usually stationary hazards. It’s the more stationary aspect of the level design which makes each attempt seem like a learning experience, nothing is left to chance. To discuss Celeste’s key themes in any more detail may strip you of your own connection to the game so I will just say that over the course of the 7 levels Celeste will make you consider the way you approach and play games, how quick you are to give up when things get tough and how much your self-improvement is possible. By the summit of the mountain, I had gone through a range of emotions linked to the gameplay and would place Celeste as possibly one of the best indie games I have completed in recent memory. Special mention must go to the simply outstanding chiptune soundtrack which must surely be in the running for a Golden Joystick this year. In particular the music in the 6th Stage. Without spoiling it for you the music adds a sense of epic scale to already exceptional level and boss design. Visually the game might not appeal to everyone with a pixel art style that I found endearing but may not be to everyone’s taste. 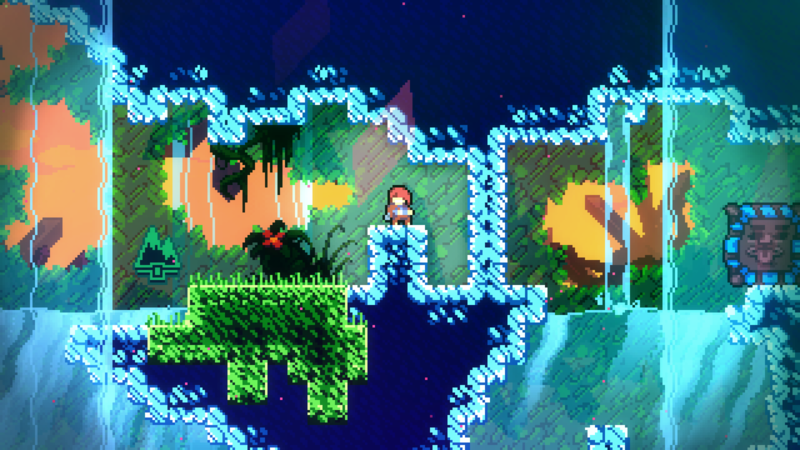 Celeste is hard but it is fair. It never gets old or repetitive and it doesn’t overstay its welcome. If you struggle with platformers play it to reappraise your own gaming ability and if you consider yourself a pro gamer play it for the super hard Strawberry challenges and B side levels which are insanely tough. I finished the game with over 2000 deaths and a playtime of 10 hours which demonstrates how much of an achievement it was to reach the summit Other gamers I know achieved the same in 6 hrs with half that number of restarts. Each death, however, taught me how to play the game better and everyone was my fault not due to poor level design. I would often put the switch down after a number of unsuccessful attempts and go back the next day and immediately complete a screen I was stuck on thus finding myself hooked all over again on the gameplay loop of try, fail, learn and succeed. If Celeste was a book after reading it you would want to pass it on to a friend to experience. At a little under £20 on the Switch, it’s a tad pricey for an indie game, but worth every penny, especially if you delve into post-game challenges. Thanks for the memories Celeste you started 2018 on a high note. Now onto that end game content…..
A nice clean aesthetic that suits the gameplay and has a certain charm but may not be to everyone’s taste. Excellent all the way through and deserving of an end of year award. Tight controls and simple movement options linked to adult themes make for an innovative, hard but fair challenge. A rare gem of a game that deserves a place in every gamers catalogue. A great advert for the portability of the switch too. Final score: 9 / 10 A true classic.